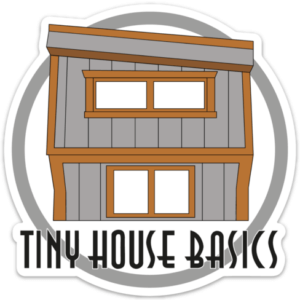 Every Tiny House is different in one way or another because each of their owners are unique in their own regard. Every tiny house shell no matter small or large is tailored for each customer’s needs. We will guide you through the process. You choose the length you want from 10ft to 48ft long, you choose the window sizes and their locations, you place the front door where you want it and you can even choose the style of roof and exterior siding. No matter if you have a base model with the Gable roof, 36” front door and 4 windows, Metal roof and t1-11 Siding or a fully outfitted Tiny House, You design it to fit your needs! 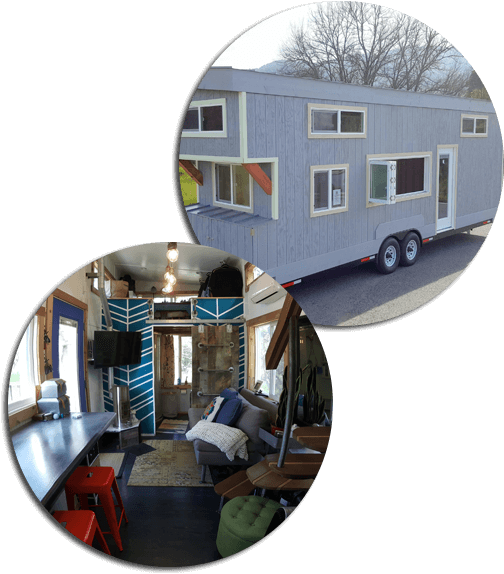 Whether you are just looking for a Professionally framed Tiny House Shell or you are looking for the complete Tiny House package with appliances installed. we can help guide you each step of the way. We can build you a Tiny House to any step of completion to suit your needs and budget. Do you just want the house keys and to be ready to move in Or Do you want all the plumbing, electrical installed but you want to handle the rest? What ever the level of completion you want we can do it and all the work is completed by Licensed, Insured and Bonded Builders. Just Like our shells, you can customize the trailer to fit your needs, choose any width from 92” to 102” wide, drop axles or straight axles, Custom Color or even extended tongue for more storage. Each trailer is designed and built specifically for you. Each Tiny House Shell comes standard with the Gable Style roof. Upgrades include: Shed Style, Gambrel, Full Length Dormer, ½ Gable and ½ Gable With Dormer or even choose a split style roof with two different styles. Choose any color for our Standing Seam Metal Roofs at no additional charge. 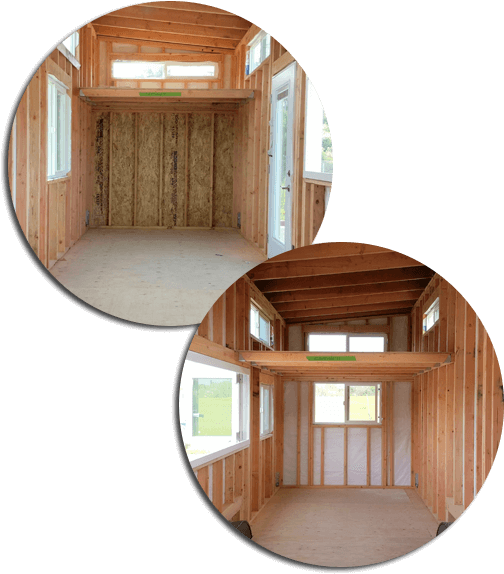 Each Tiny House Shell comes standard with 4 windows and a front door which you can choose the placement of each. You can add more windows or even a second door, you can even change out your door for a set of french doors or patio doors. For windows we can install standard double pane tempered glass vinyl windows or you can upgrade to casement, awning or even the Accordion window as seen on our Entertaining Abode.